Rumors never stop ! But this one is strong, strong, strong and brand new ! 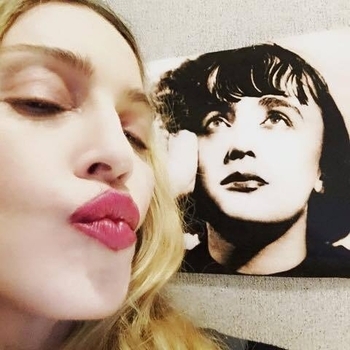 It all starts this morning, while Madonna shared on Instagram a picture of her kissing a picture of one of the most famous french singer : Edith Piaf. "She got me through this endless day......â¤ #rebelheart #joliemome"
Since Early June, Madonna loves playing with her fans by teasing lyrics and/or songs from her huge catalog, or others artists songs (such as Whole Lotta Love by Led Zeppelin or Between The Bars by Eliott Smith). But this time, 33 days prior the Rebel Heart Tour launch in Montreal, Canada, things are getting more serious. If Madonna share a picture of Edith Piaf, then she'll probably sing one of Piaf's most famous romantic songs. According to closed sources, the Queen Of Pop plans to sing on stage the brilliant and amazing "La Vie En Rose".